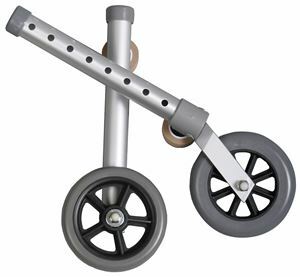 Walker Wheels by Medline Canada is designed to help easy maneuver on uneven surfaces. Provides a natural walking stride. These attachments are to be used on the front of the walker. Comes along with glide caps.